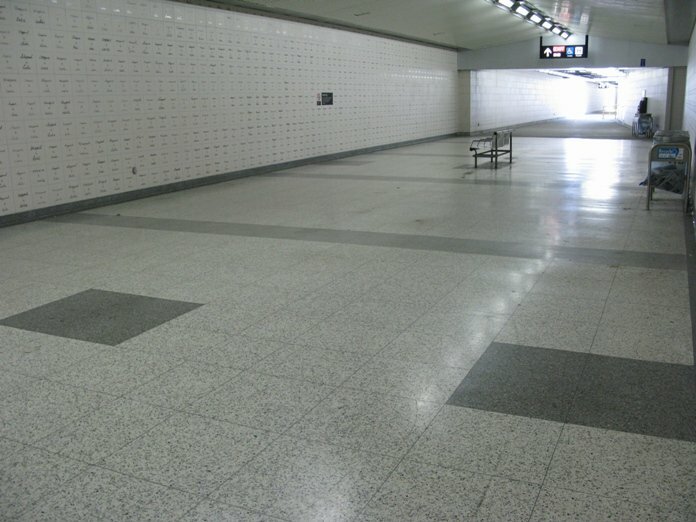 Leslie & Sheppard Subway Station (L&S Subway Line). 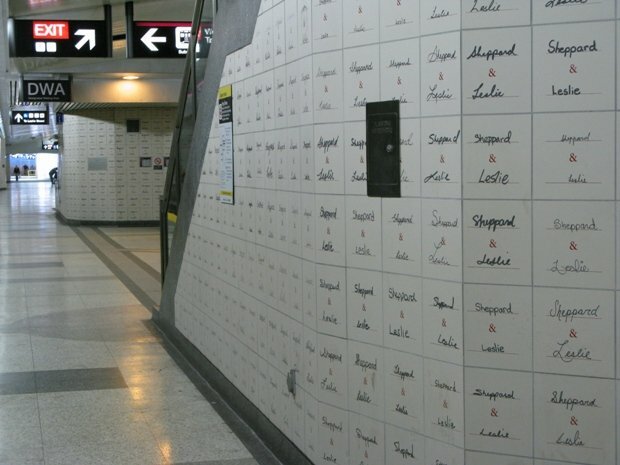 Every wall of the new Leslie & Sheppard Subway Station is covered with one of 17,000 custom-printed tiles. 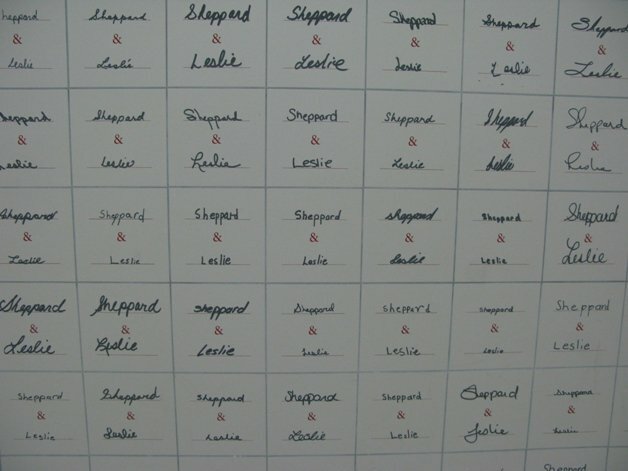 The tiles feature the handwriting of different members of the public who were invited to write the words "Sheppard" and "Leslie", which is the intersection where the station is located. 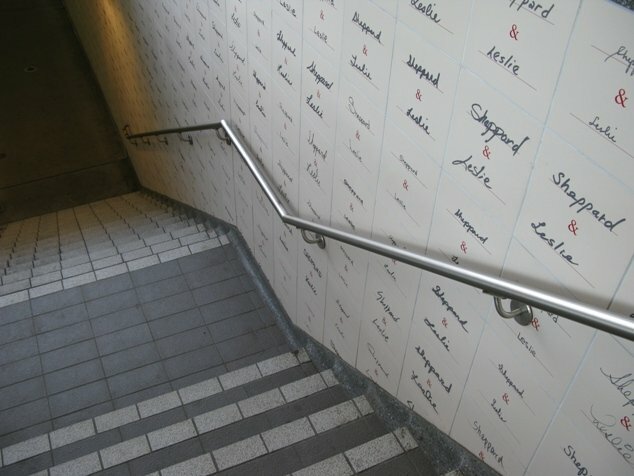 During the month of May 1997, the public was invited to fill out ballots that were then enlarged and turned into glazed ceramic tiles. 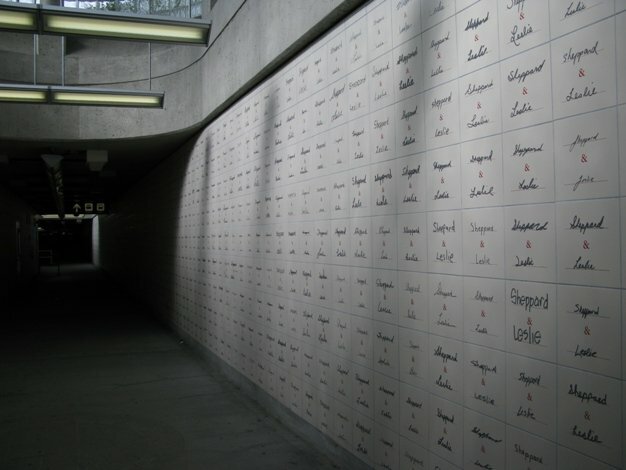 3,500 different ballots where selected and each was made into an edition of 5 tiles to create the 17,000 tiles that make up the artwork. The work plays off the dichotomy between community and individuality, and is an homage to the unique yet anonymous contribution of those who participated.